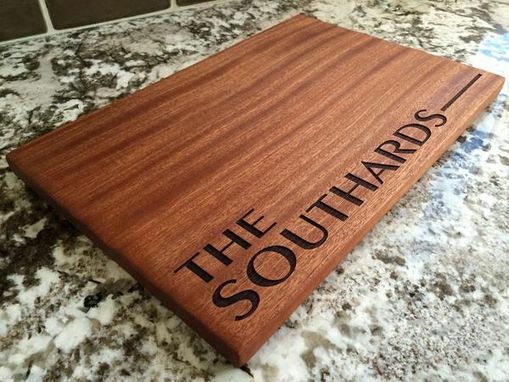 Our "Personalized Beautiful Large Mahogany Cutting Boards" are absolutely stunning. 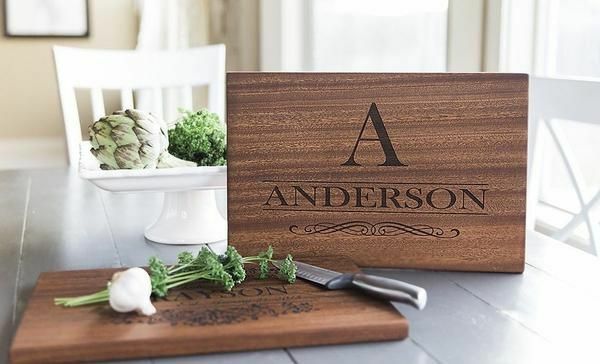 Hand-crafted from solid mahogany and laser engraved, these cutting boards will be the show-piece of your kitchen. 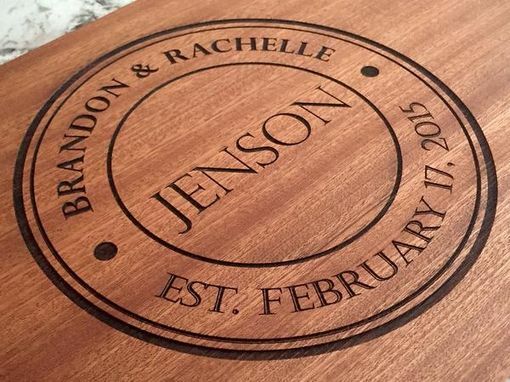 Choose from 6 designs including "Jenson", "Harrison", "Anderson", "Grayson", "Nielson", and "Southard". It will add the perfect balance of beauty and sophistication to your home, whether on display or in use! They are also perfect gifts for any time of the year. Mahogany is a fantastic wood for cutting boards. It is very durable, and will last for years to come. 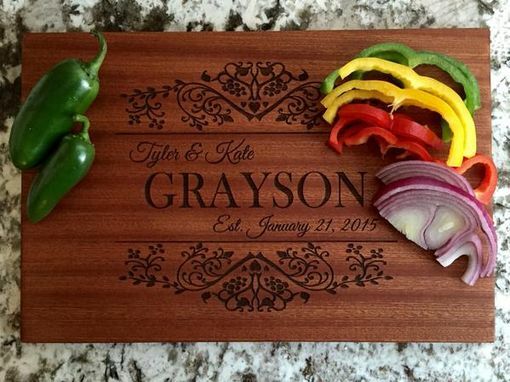 One side of the cutting board is personalized for display and the other side is used for food preparation. Board measures 10" x 15" (3/4" thick). Second time working with Kay and both times very pleased with the product I received. 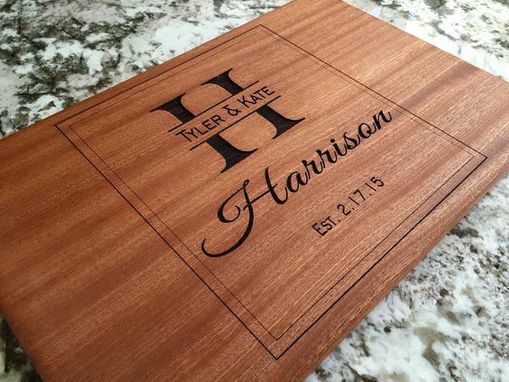 Bought a personalized cutting board both times and the quality out does the price. I will use them again and again. It was very easy to work with Kay. 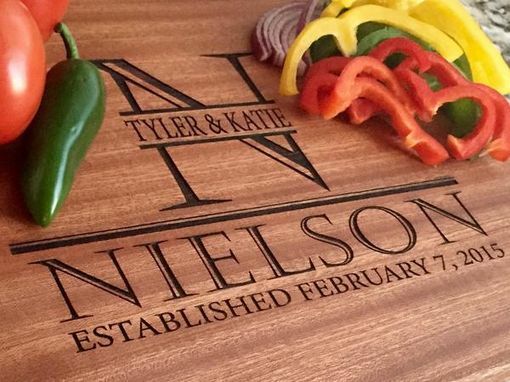 Thank you for the beautiful and unique cutting board. I loved it and my host is very happy. I have ordered one for almost everyone in my family.